To start off, we’re going to state something that everyone already knows: Canada loves hockey. Canadians are crazy for it — maybe too crazy for it. Even though the season ended two nights ago with the Boston Bruins being crowned as the 2011 Stanley Cup Champions, we know there are always puckheads out there looking for more NHL news. 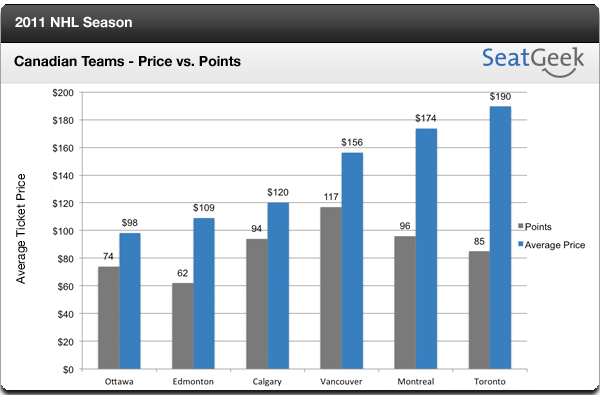 Looking at these numbers, Calgary fans are technically getting the best bang for their buck at an average of $1.28 per regular season point. 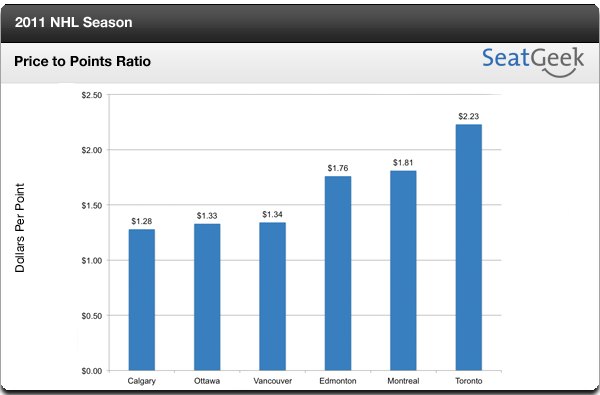 On the other hand, Toronto fans are spending a whopping $2.23 per point despite their team not qualifying for the playoffs since the 2003-04 season.